In order to follow the current economic issues, the Ecole des Mines in Nantes launched this project: how to learn Chinese with the use of the ICTs. Learning modules are available online for engineering students. The learning method is based on the use of the ICTS: the Internet, smart-phones (I-phone application) and social networks. The beginners have access to 5 modules (introduce yourself, your family, talk about your hobbies, shop and go to the restaurant) whenever and wherever they want. In addition, a web community is available to exchange, help and support each other. The information for the Case Study was collected during an interview with Christian Colin, teacher at the “Ecole des mines” of Nantes in France. Christian Colin represents the promoting institution of the “Parlez-vous chinois?” project. The “Parlez-vous chinois” project is based on the needs of beginners in Chinese. For the first version of the project, the school developed a web site which could be used in order to teach and to learn the Chinese language for beginners. The second version developed a mobile application which could be used with smartphones and other devices (iPod, iPad, etc). The pedagogical material includes texts, videos, exercises and samples which are related to everyday life situations: for example, at the restaurant, buying food, in a shop. The project target groups are students who intend to learn the Chinese language and teachers who need an additional support in their teaching activity. The project target languages are: French and Chinese. The “Parlez-vous chinois” project has the objective to help teachers and students improving their teaching and learning skills in a less-known language as the Chinese one. The best way to help the target groups discovering this language is through modern technologies which can be autonomously used on their own by the learners. The project also benefited from the valuable cooperation of the “CAPE – Centre d’Appui aux Pratiques d’Enseignement”, who offered their know-how in the technical definition of the teaching material. At the “Ecole des mines” of Nantes there is every year a call for papers which is open to all the proposals and the suggestions coming from teachers and students. Considering the difficulties of integration coming from Chinese speaking people and the desire to learn something more about this less spoken language by French speaking people, the internal school commission approved the “Parlez-vous chinois” project. The funding received were used for the realization of the portal and the mobile application. The “Parlez-vous chinois” project obtained different results. From a didactic point of view, teachers began to use the mobile applications as an additional teaching tool, while students began to exploit the web support in order to establish a first contact with the Chinese language. From a technical point of view, the project showed the potentially infinite utilities that modern technologies may undercover while approaching a new foreign language. The “Ecole des mines” of Nantes, the “Parlez-vous chinois” project promoter, decided to submit the application for the European Language Label with the aim to make the project known at European level. The “Ecole des mines” initial expectation was completely met, because the project gained a great visibility within the European showcase. This way, the innovative idea, the pedagogical validity and the project promoter were officially recognised through a qualitative award. “Ecole des mines”, the project promoter, put the Label logo on all the documents related to the “Parlez-vous chinois” project. 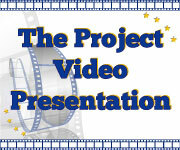 According to the project promoter, it is quite difficult to measure the quantitative effects of the Label on the project. On the contrary, the qualitative effect is pretty visible: the Label represented an official recognition of their work, rooted the innovation carried out by the project, confirmed the excellence of new technologies as additional tools within the teaching process. The application to the ELL should be carefully completed in all its parts, because details may be crucial: that is the best advice given by the project promoter to those who intend to submit their candidature. The Label Committee chooses among a number of good initiatives in a highly competitive context. A project addressed to the Chinese language may not have a strong concurrence but, for those initiatives addressed to more common languages, the attention to each detail is necessary. 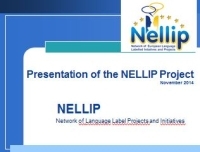 The NELLIP Network selected the “Parlez-vous chinois?” project for its consistency with the political priorities of the European Commission in the field of language learning. In particular, the “Parlez-vous chinois?” project has been chosen because it promotes new approaches to language teaching and learning, as the language courses are accessible online on an interactive platform and a smartphone application, exploiting the potential of new technologies. Then, is promotes a multilingual reality, having as its aim the learning of Chinese that is a less known language in Europe, and therefore promoting integration with the always larger Chinese communities. Finally, it develops teaching material for the learning of a less widely spoken language like Chinese in Europe. The project was selected as case study and best practice by the French National Agency “Europe-Education-Formation”. According to the French evaluator, as stated in the “Label des Labels – 10 ans de projets” publication, this is a qualitative project proposing a free and large variety of teaching supports to those students interested in the Chinese language. The teaching modules, offered by the project portal, give an important contribution within the Common European Framework of Reference (CEFR). In addition, the project promotes a brand new learning approach, using the modern technologies for an autonomous study of the Chinese language. Message: I will move to China in one year. So I was looking for a support tool in the \"mission impossible\", which is to learn Chinese on its own. I found \"Parlez-vous Chinois\" and I immediately downloaded the \"app\", which revealed to be really helpful and comfortable.